Want to buy a BMW 740e? There is a large volume of resources available on the Autobytel website. Explore BMW 740e vehicles that are currently for sale or those from the past. Check out technical details on any automobile like dimensions, weight, horsepower, and more. 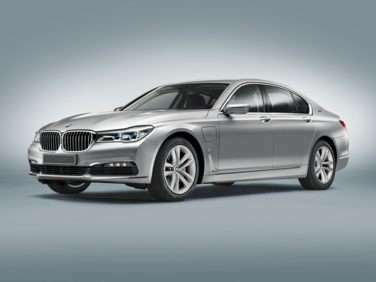 Find the invoice price on BMW 740e vehicles. Go through the critiques from current owners before you buy a BMW 740e . Or check out what industry car people have to say. Browse hundreds of brand new or preowned BMW 740e automobiles. You can do this all online from the comfort of your own home at the Autobytel site. Narrow down automobiles for sale in your area using your zip code. Autobytel has a huge assortment of car images available online for free. There are many different shots of BMW 740e vehicles including examples of the interior, exterior, and engine. This will most often be the first place you should go to see the vehicle from different angles. Would you buy a hideous looking vehicle? Hopefully not, and when you go to buy a BMW 740e you will know exactly how the vehicle looks thanks to your proper online research. Another great feature at the Autobytel site is the section containing car reviews. Read reviews for BMW 740e autos from everyday consumers. There is also analysis from experts in the car field. Save big time by taking advantage of factory deals on BMW 740e vehicles. There are two types of incentives. The first is a rebate, which is an amount taken directly off the MSRP. The second is a special APR financing rate. Browse the inventories of BMW 740e automobiles for purchase at nearby dealerships. Before you buy a BMW Model}, see multiple vehicle listings in your area.